Impressing your boss is something that you may have to think long and hard about doing. Accomplishing such a task isn’t something anyone thinks to be hard, but doing so can cause anxiety for your upcoming meeting, and this isn’t something you should be fighting. If you’re someone who has a meeting with a boss in Denver, and you’re searching for ways to impress them, it’s time you give Klasse Auto Rentals a read. In our previous posts, we started giving you ideas on how to impress your boss, such as rolling up in a BMW rental and staying focused on the meeting that’s about to begin. Catch up to read previous tips and continue reading more. Stay positive before, after and during your meeting. It’s always highly recommended and extremely important to show your boss that you are a positive person. If your boss sees that you get down on yourself easily, your motivation may be lacking. If you don’t like something about your job, don’t just complain about it to you boss, make a constructive appeal to them. Find specific remedies to change a problem is better than just complaints. Additionally, if you do have something negative to say about the company, it’s recommended that you frame your solutions as being in the very best interest to the company that you work for. But this is what meetings are for, do them privately and show initiative that you care. However, staying positive is key throughout this entire process. The more positivity you show, the higher your boss with think of you. Let us help you stay prepared for your upcoming meeting in Denver. 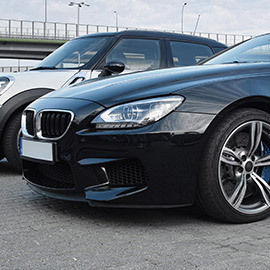 Join us online today to reserve a BMW rental of your dreams to arrive in style. Stay tuned for another post giving you some tips on how to impress your boss.